Originally released with the first Blu-ray/DVD volume of the anime adaptation in Japan, Attack on Titan‘s 65-page Volume 0 is now available online for free. 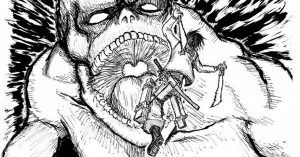 Creator Hajime Isayama drew the one-shot when he was 19 years old, before Attack on Titan‘s September 2009 launch in the pages of Bessatsu Shonen Magazine. While it won the Fine Work award in Kodansha’s Magazine Grand Prix competition back in 2006, Shonen Jump rejected Isayama’s submission. Volume 0 is definitely rough, but it’s worth taking a look at what would eventually turn into one of the world’s most popular series.